I worked in Dubai Health Authority from ( May 2004 - July 2010 ) as registered nurse and shift duties incharge in these units : ( ENT & OPH , Medical , Urology , VIP , Cardiology and cardiac surgery ward ) and helped in arranging the unit and the other staffs for te JCIA inspection on 2010 . 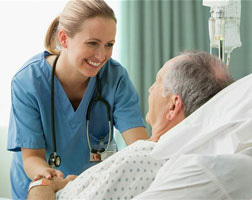 - Worked as senior RN , team leader and a member in infection control team in ICLDC from ( August 2010 - August 2011) . - Now I am working as Senior team leader in ICLDC - Al Ain branch from Septemper 2011 till now and helping in arranging the center facilities and giving education for the staffs .